I grew up with a dad who loved baseball, and a sister and mom who could care less about sports other than Nascar. It's no surprise I knew very little about football. This year, it's all started to make a lot more sense, and I've started to enjoy watching it more. And now that my state's team is going to the Super Bowl, of course I'm excited! 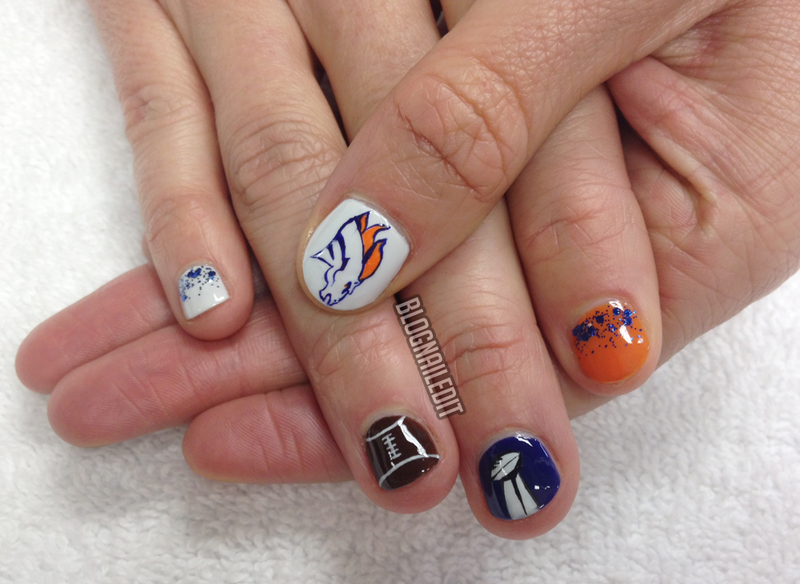 I did these Broncos nails on my friend Bethany tonight, hoping it'll send good vibes to the team out in NY/NJ. It's all freehand, but obviously I looked at pictures when I did them. Who're you rooting for on Sunday? WHAT?! That Bronco head is freehanded?! Good gravy! That's amazing! 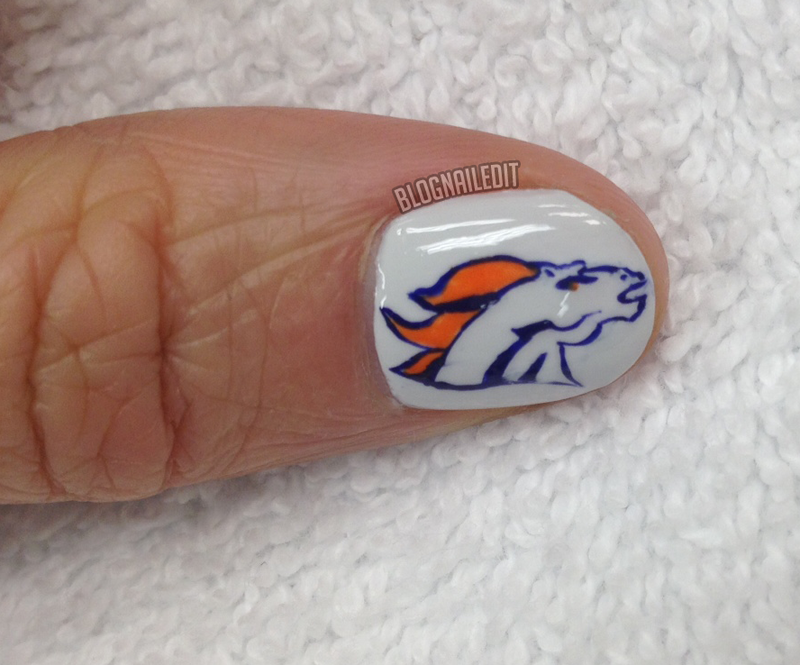 I have to show these to my husband - he's a Broncos fan, and he deals with my nail art obsession, so I know he'll a) be blown away, and b) love them! Holy crap these are So well done!! You have some mad freehand skills!